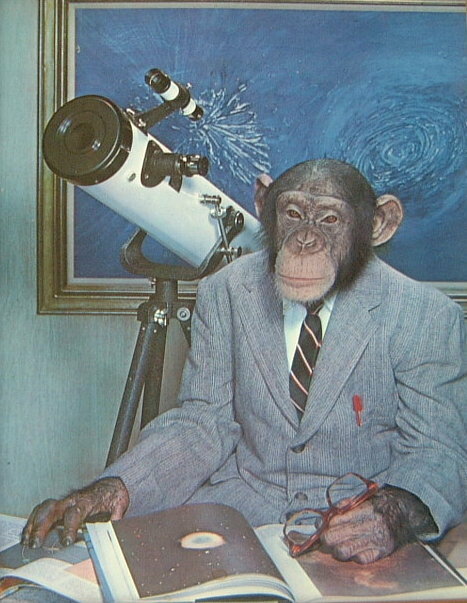 Thought it would be interesting for people to see some celebrities using their telescopes. PLEASE just post links so there won't be any copyright issues unless you own the photo. Johnny Carson also had a Cave 10" Newt. Moved to Equipment for better fit. 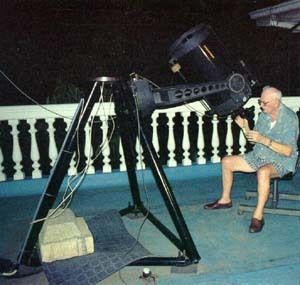 I love the photo in that one link of Arthur C Clarke with the fork mount set up for viewing from Sri Lanka. What mount method is used in the photo, am I seeing this right? First glance looks like U bolts. Curious what is anchoring / balancing the tripod. The orange tube in rear is obviously on a wedge. didn't even notice that image. that is some extreme tilt on that mount. I don't see counterweights so maybe the tripod is affixed to the ground? As someone who loves that vintage line of orange Celestrons.... I think Carson's gigantic orange tube will be a little out of reach for me. 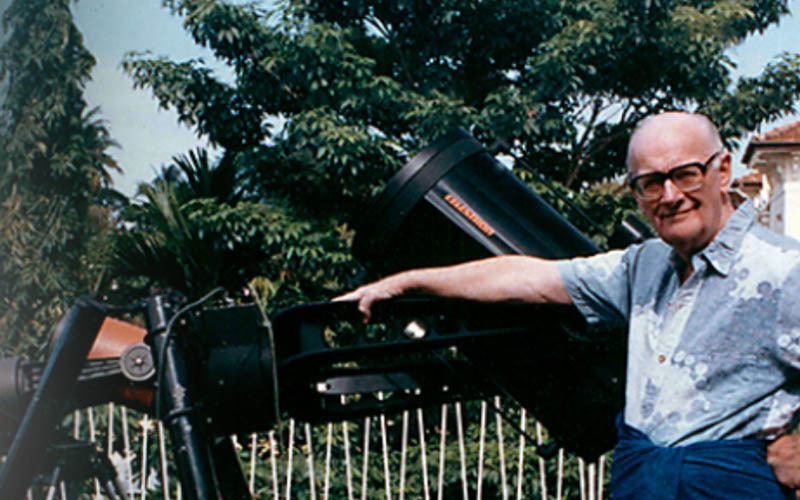 Arthur C. Clarke's side mounted scope was counter weighted with concrete chunks it appears. Here is an image of the whole setup. I love primitive solutions ! Edited by BarrySimon615, 26 January 2019 - 04:21 PM. I believe I read an article in a S&T edition awhile back that talked about Lincoln before he was president and was a lawyer. He was defending a suspect on trial for murder. The main witness said he saw the accused murder the man by the light of the moon. Lincoln checked the ephemeris for the date the murder was witnessed and found that the moon could not have been lighting the scene up for the man to see the accused commit the murder. I can't remember if the witness claimed it was a full moon, or whether Lincoln showed the moon was either not up or near new. Either way - way to go Mr. Lincoln!! The accused was acquitted. I like this thread. Very interesting. Ordway knew Kubrick, Clarke, and Von Braun well, he was a technical advisor on 2001: A Space Odyssey. 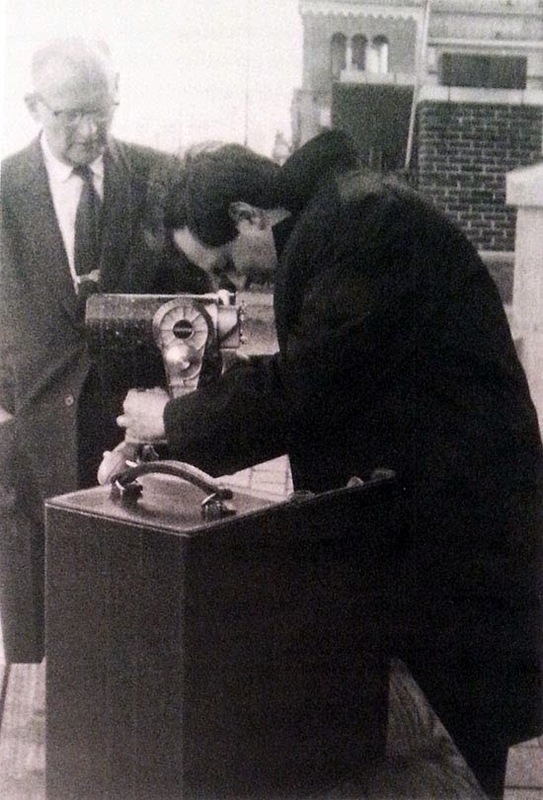 The Tasco was set up at Ordway's home in Huntsville, where he used to look at the moon, mostly, before a dedicated observatory was set up as part of the lunar landing site selection process. Von Braun, Clarke, and Kubrick probably looked through it. I have fully restored the OTA and am halfway through the mount restoration though the scope is useable now. I bought it from a picker with some astronomy knowledge, who got it from Ordway's estate sale. Searching through the Classics forum may find other such celebrity-owned scopes, I've read of several over the years that are now owned by CN members. I corresponded with Arthur C. Clarke briefly around 1999-2000, he was a true gentleman and sent me a couple of his personal bookplates. They feature dolphins and a monolith- I have set one inside my first edition of A Fall Of Moondust.